Bitcoin, the red-hot digital currency, gained more than $US1,000 after exchange giant CME said it was preparing to launch a bitcoin futures product. 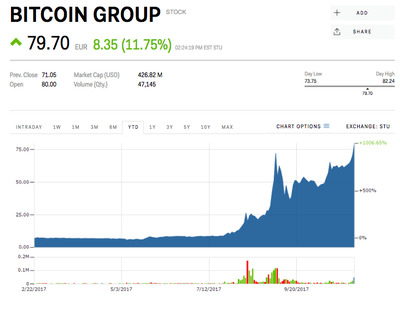 On Monday the price of Bitcoin Group, a Australia-based company, traded near $US80 per share,up 1,006% since the beginning of the year. The company operates bitcoin mining facilities in Australia, Iceland, and China. 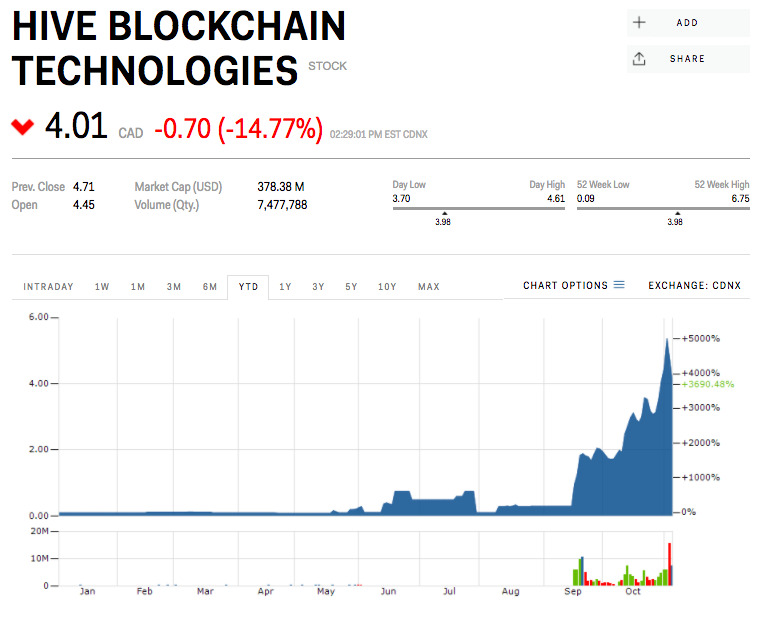 Hive Blockchain Technologies, a Canadian firm, is up 3,690% year-to-date at $US4 per share. 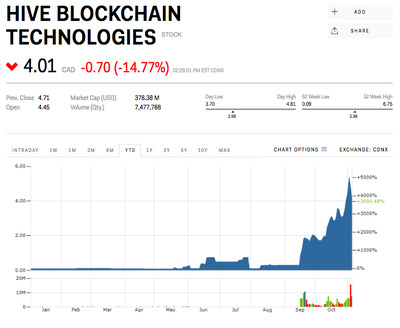 The company began trading under the ticker “HIVE” in September after it “took over the listing of Leeta Gold Corp,” according to Bloomberg. The market for cryptocurrencies, which now includes over 1,000 different coins and tokens, recently surpassed $US200 billion, according to Coinmarketcap.com.